FRAMINGHAM – A group of student interns at the MetroWest College Planning Center (CPC) is organizing a Youth Summit for high school students from eight area school districts that will take place on Framingham State University’s campus on May 4. 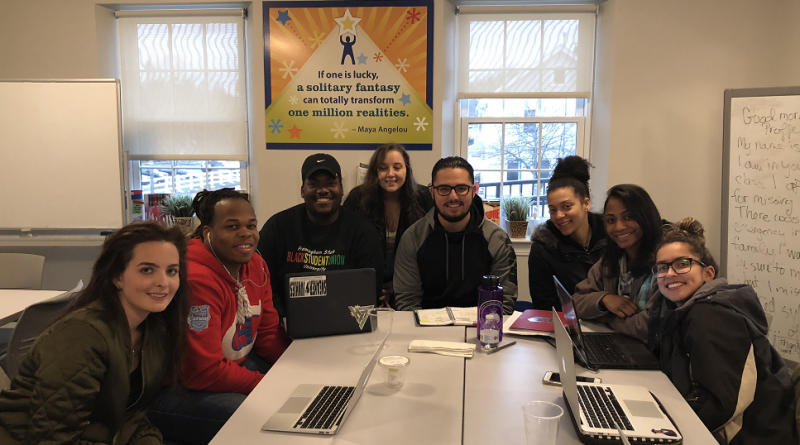 The interns who attend Framingham State University and MassBay Community College created the Youth Summit to provide area high school students with leadership and professional development opportunities they might not otherwise have access to. The theme of the summit is Elevate and Connect and will feature a keynote address by Princeton University sophomore Diana Chao, who founded the non-profit organization Letters to Strangers (L2S), which seeks to destigmatize mental illness and increase access to affordable quality treatment. Her talk will focus on social entrepreneurship and empowerment. Since Letters to Strangers began in 2013, the youth-run organization has impacted over 25,000 people worldwide and have expanded to include partner sites on three continents. In addition to the keynote address, the summit will include breakout sessions on topics including college success, mental wellness, financial literacy, networking, brotherhood and sisterhood, empowerment, and leadership. The School Districts participating include Framingham, Keefe Tech, Waltham, Somerville, Chelsea, Boston, Marlborough and Milford. Each district is sending 30 students. Framingham State senior Iracely Sanchez said she and her fellow interns also decided to organize the youth summit as a way to give back to the MetroWest and Greater Boston communities. “Our hope is that the summit will help the students build confidence in themselves and show them that regardless of their individual circumstance, they have the ability to excel and make a difference,” said Sanchez, a Framingham resident. The MetroWest College Planning Center is a collaboration between Framingham State University and MassBay Community College and serves as a resource for low-income, first-generation and minority students, as well as their families, to improve college attainment rates for those underrepresented groups in the region. Programs are offered to enhance college readiness, participation and completion.